Italy grows a staggering 4.9 million tons of tomatoes a year, and for many the ingredient stands as a symbol of Italian cuisine. However, despite its contemporary ubiquity the tomato is a relatively recent phenomenon in Italian culture, and only became introduced into the culinary canon after the Spanish conquistadors brought the fruit back from the South American Andes in the sixteenth century. Its popularity spread rapidly, becoming the base for millions of sauce, soup, salad and pasta recipes thanks to its colour, flavour and inherent versatility. 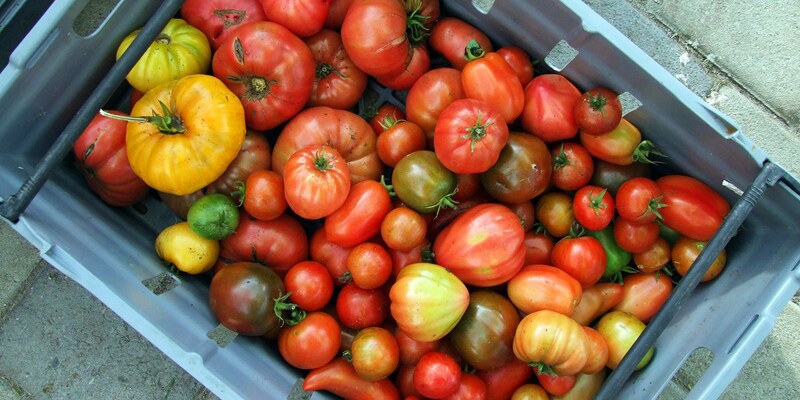 Over one hundred varieties of tomato are grown in Italy, with the country’s southernmost regions known in particular for producing the most delicious varieties (including the famed San Marzano plum). In fact, it is said that the Neapolitans introduced the tomato into Italy’s kitchens, and today it is almost impossible to imagine an Italian kitchen without the fragrance and colour of fresh pummarola. This collection of delicious Italian tomato recipes provides plenty of inspiration for bringing these classic aromas into your own home. Create your own true Italian tomato sauce with Andrea Migliaccio’s Passata recipe, using glorious San Marzano tomatoes, or combine two different varieties as seen in the Cerea Brothers’ traditional northern Italian recipe for Paccheri with tomato sauce and Parmesan. If you prefer the sweeter flavours of plum cherry tomatoes, you could try Mauro Uliassi’s Smoked spaghetti, clams and grilled plum cherry tomatoes recipe, a Michelin spin on the classic spaghetti alle vongole. For salty-sweetness olives, capers and tomatoes are a match made in foodie heaven, epitomised in this collection with Gaetano Trovato’s recipe for Rabbit, olives, capers, dried tomatoes, potatoes and the Costardi Brothers’ Red mullet with capers, black olive and tomato dish.